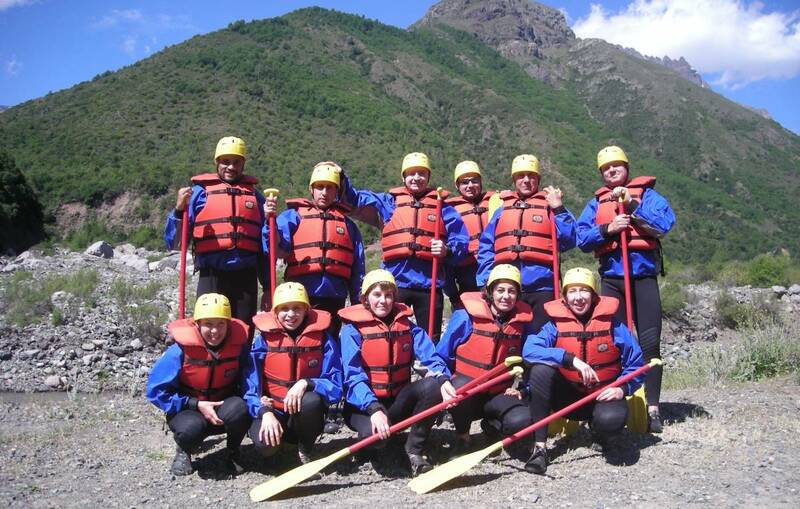 10:15 Register At the Chilean Adventures, Los Queñes River Lodge & Cabañas - Each passenger must fill out the insurance information and waiver release. Bring your Identification numbers for insurance please. The trip starts about 12 Km toward the mountains from Los Queñes, toward the international pass, Paso Vergara. During the trip, you will be able to enjoy scenery of native forest of oak, boldo, quillayes, and coigües. There are also creeks and streams that run into the Teno River with views of cascading falls. There are a diversity birds such as parrots, current ducks, and more. 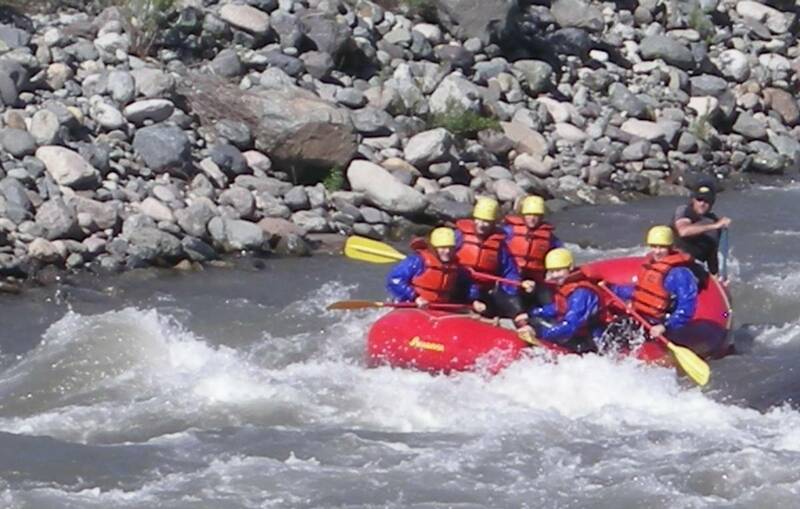 The most well-known rapids on the section include Espinosa, Canoa, Las Leñas, La Leona, Capitan, Dos Piedras, Milkshake, Teno House, y Condor, Hipopótamos, Atlas, Milkyway, Everest, Fuzzy Bunny y Eucalyptus. 13:15 Lunch: After 2/3 of the river trip, arriving to the confluence of the Teno and Claro Rivers, we stop to eat at Chilean Adventures' private quincho or barbeque area. Here we rest and enjoy the sun while the guides and Chilean Adventures' personnel will prepare your lunch - a flavorful sirloin on the grill, tossed salad, baked potatoes, dessert and drink. After a quick rest, we return to the river for the casual last 1/3 of the river trip. After 18 km of river running with a stop for lunch we will return to the lodge. Includes: Guide raft, paddles, helmets, PFD - personal flotation device, neoprene "Farmer John" wetsuits, neoprene booties, wind breaker. 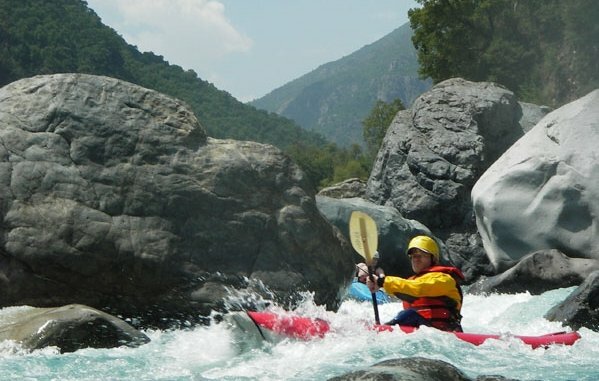 Adventure travel insurance. 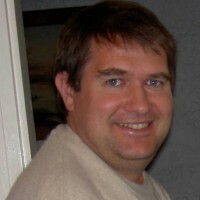 Our guides have vast experience in the region, the country and internationally. Los Queñes has a microclimate where there are clear skies and sun for the majority of the year even when nearby towns are overcast and rainy. In summer months, the daytime temperatures fluctuate between 28 a 38 degrees Celsius (82-100). You should always use sunblock, bathing suit and sinthetic clothing and bring water to help stay hydrated.